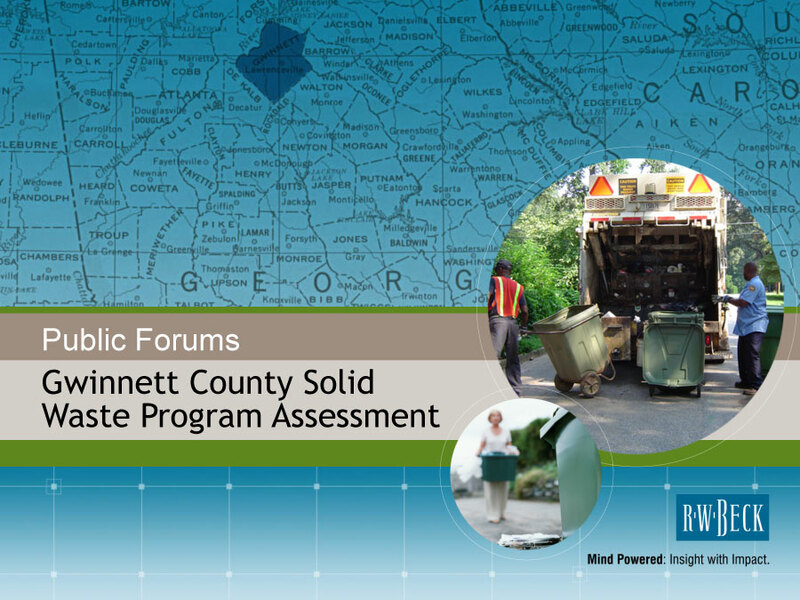 The purpose of this project was to evaluate solid waste service delivery options for unincorporated Gwinnett County, including a review of the current program; industry best practices; State of Georgia requirements; peer governments; recycling capabilities, requirements, and options; and development of and assistance with public forums to hear the opinions and recommendations of Gwinnett County citizens concerning how the County’s solid waste program should be operated in the future. FCC Hosted 8 public meetings where Gwinnett residents were invited to attend a series of public forums to provide feedback on what was most important to them regarding the delivery of solid waste services. Meetings were held on weekday evenings and Saturday mornings at various locations throughout the county to encourage attendance. FCC coordinated workshops for the Commissioners, conducted citizen surveys, and promoted meeting for haulers to provide feedback. Sent e-blasts and direct mailers promoting public forums.